Even though it may seem like your trees do not need much attention from you, if you want to keep them looking their best all of the time, then you need proper maintenance. Trees that are not maintained properly will not grow correctly, potentially causing problems for your property and impeding the overall health of the tree. One of the easiest ways to help maintain the look and health of your trees is to get professional tree services like ours at Your Way Tree Service Inc. to assist you. We are often asked to perform tree trimming services in Pacific Palisades for customers, and there are some standards services that go along with tree trimming. The canopy of your trees is the overhang that provides you with the shade and protection from the sun you want from your trees. There are instances where the canopy will become overgrown, causing the branches to grow too close together. This can affect the health of the branches and the tree itself, so thinning the canopy is one of the services we can provide. We will remove dead, damaged and tangled branches and trim them back so that the tree can thrive again. We can also perform canopy rising, where we remove some of the lower limbs of the tree so that there is a better view of the tree and the tree may look taller and sleeker. When it comes to tree trimming services in Pacific Palisades, a service we often provide involves trimming back limbs and branches that have begun to encroach on power lines. Often trees will grow long and upward and threaten to envelop power lines or grow over them, leaving limbs hanging dangerously close. Our professional service will safely trim the limbs and branches to remove them from this area. We can do the same service to help remove limbs that are too close to our roof or siding of your home, hanging dangerously over your car or threatening other parts of yours or your neighbor’s property. No matter what time of year it may be, we can assist you with tree trimming in Pacific Palisades. 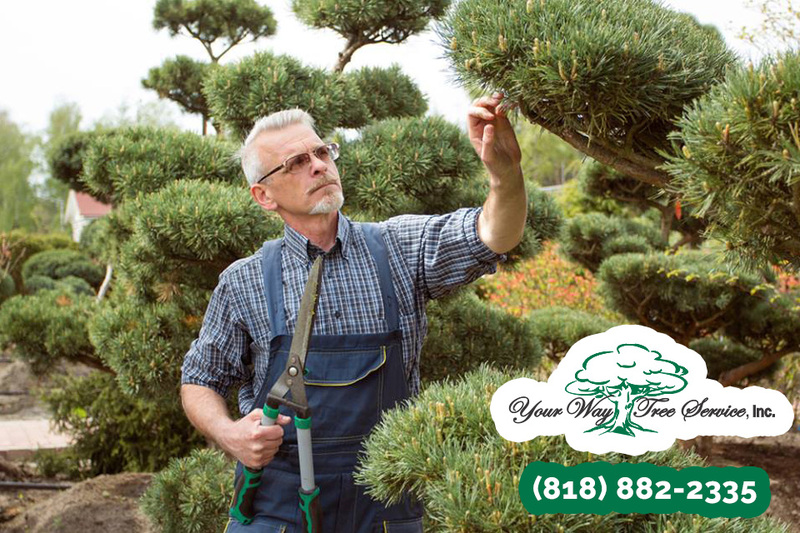 Give us a call at Your Way Tree Service Inc. at 818-882-2335 so that you can ask questions about our services and arrange an appointment for one of our technicians to come to your home and look at your trees. We can provide you with an evaluation and recommendations about how we can care for your trees so we can help you make your trees look their best and stay healthy and safe.